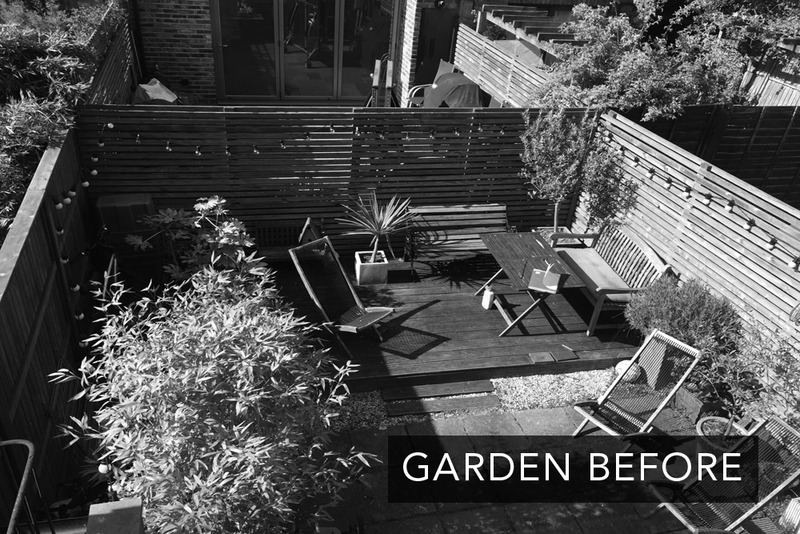 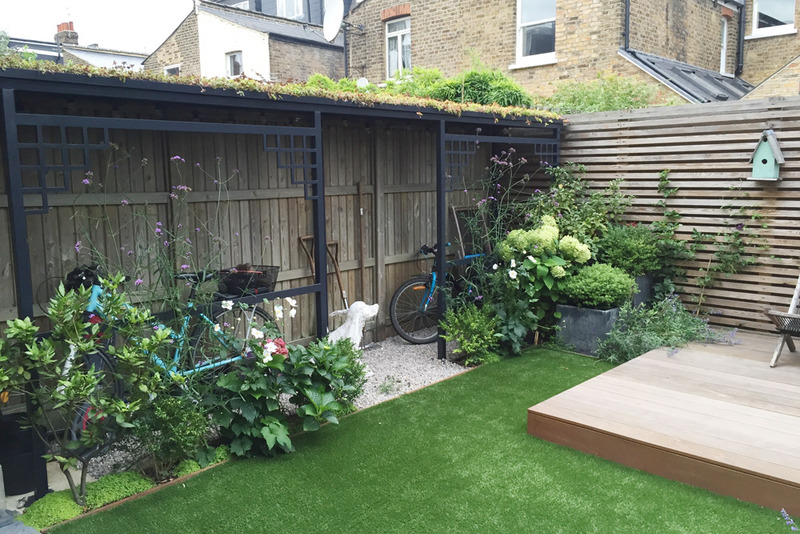 The challenging brief was initially to design a storage for bikes that would be a feature of the garden and a garden that would blend around it. 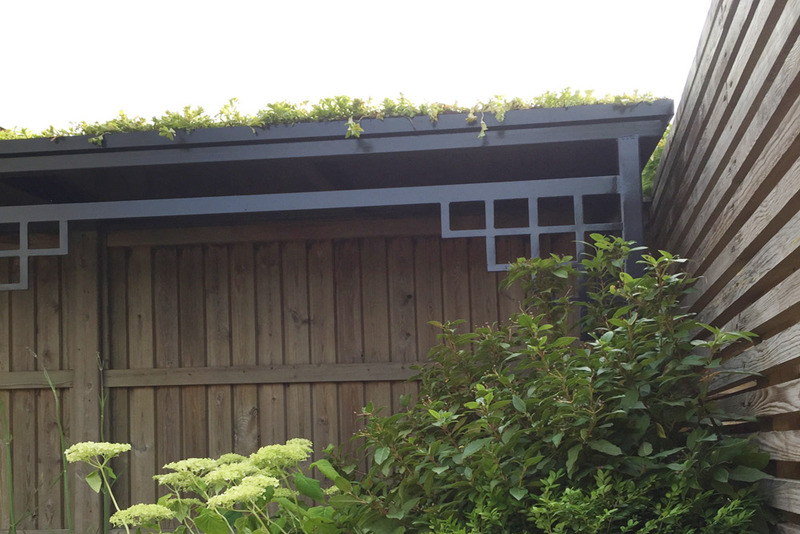 A metal awning painted black has been designed with a green roof and fit perfectly on the left hand side. 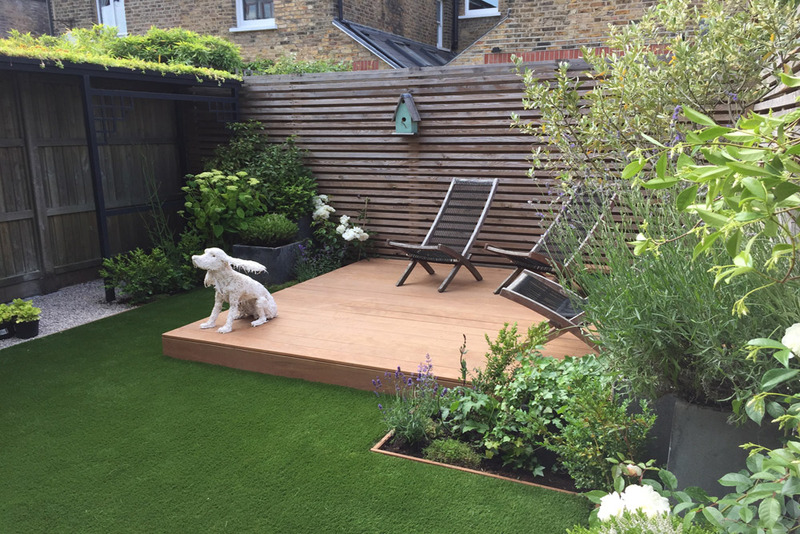 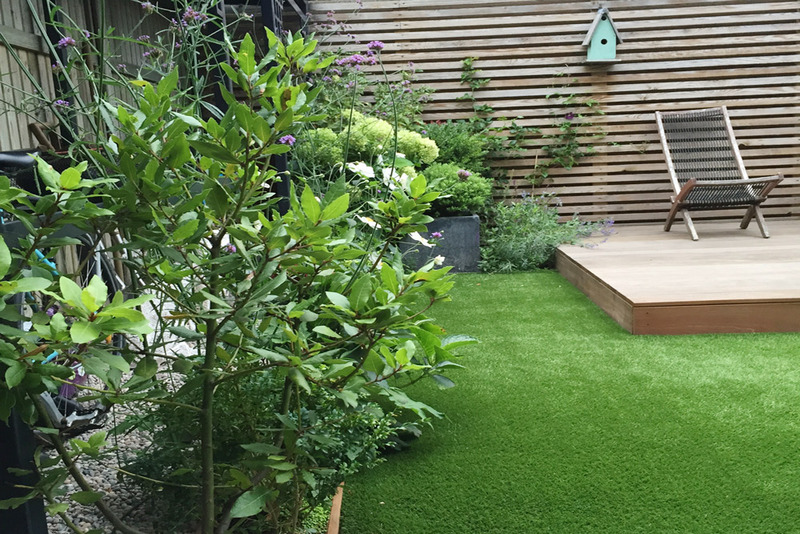 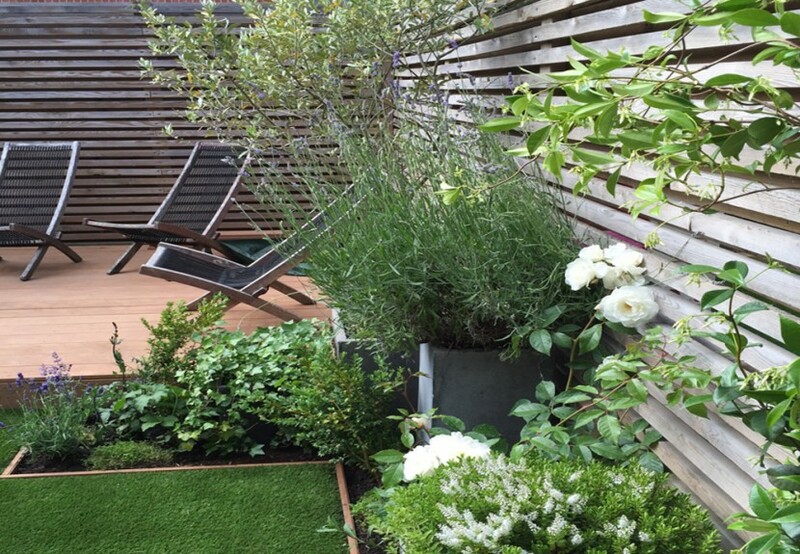 A raised decked platform has been built in the sunnier part of the garden and fake lawn laid to provide year round colour. 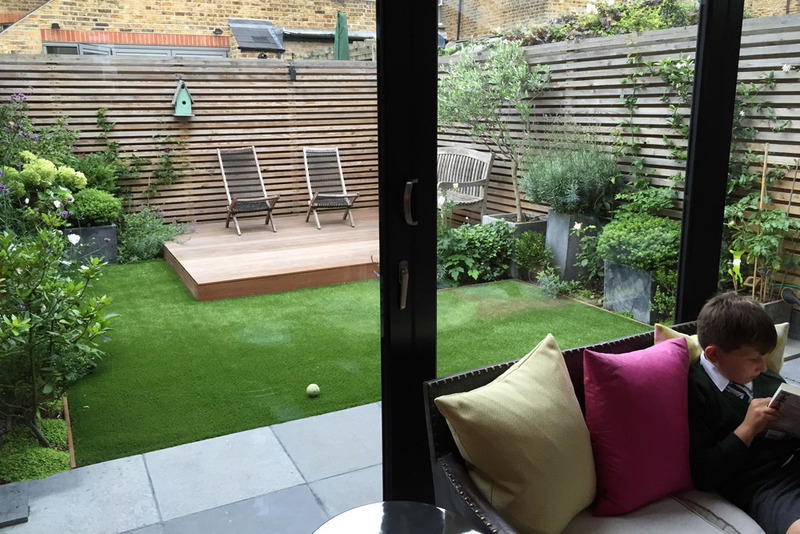 Black Limestone paving along the house echoes the colour of the bike awning and of the large window frames. 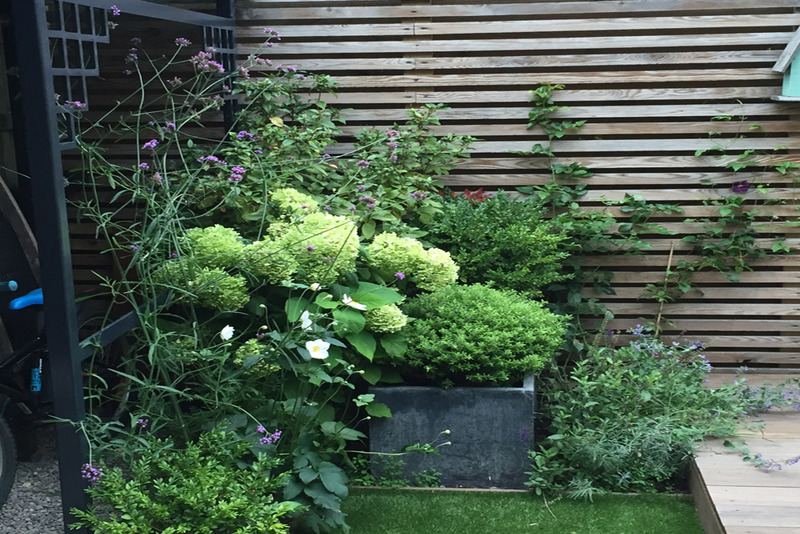 Planting in the blues and purples and white frame fill the garden and the horizontal slats trellis.